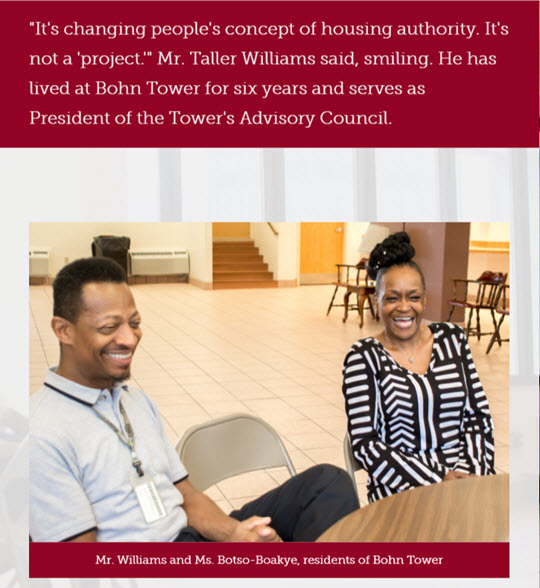 EMG's Rental Assistance Demonstration ("RAD") project, Bohn Tower in Cleveland, was featured on HUD's website in its RAD Photo Essays series. Bohn Tower rises 22 stories in downtown Cleveland, Ohio. Our team worked with property owner Cuyahoga Metropolitan Housing Authority (CMHA).